LEDUC, Alta. — In just a couple of months, mixed doubles curling has gone from being an unknown quantity for Canadian curling fans to the talk of the sport — especially among some of the best in the game. 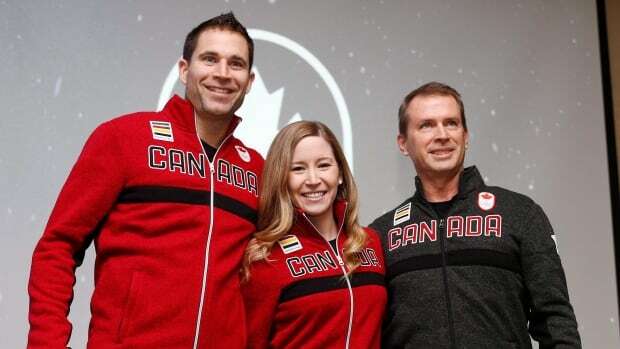 Stoughton owns a lengthy resume in the curling world and was tasked with bringing Canada’s mixed doubles curling program up to speed just two years out from the Olympics. He accompanied Kaitlyn Lawes and John Morris to the Winter Games in Pyeongchang last month — and the result in the sport’s Olympic debut couldn’t have gone better. Lawes and Morris cruised to Olympic gold and highlighted the new discipline in the best way possible, said Stoughton. “We have two great ambassadors in Kaitlyn and John. The excitement is there and we have to hold onto it to get more people playing. That’s the goal. We’d love to have a junior mixed doubles championship and why not?” said Stoughton. Now, they’re all hoping to build on that momentum as 32 teams have arrived in Leduc, Alta., to compete in the 2018 mixed doubles nationals. The star-studded field is highlight by teams like husband and wife duo, Brent Laing and Jennifer Jones, Reid Carruthers and Joanne Courtney, John Epping and Dana Ferguson, Colin Hodgson and Chelsea Carey, Cathy Overton-Clapham and Matt Dunstone along with many more. There are four pools of eight teams. They’ll play a round robin of seven games within each pool. The winner of each goes straight to the quarter-finals. The next best eight records move onto the round of 12. From there, the teams will advance to the playoff round with the quarter-finals being played Saturday night, the semifinals on Sunday morning and the championship later that day. The winner of the 2018 Canadian Mixed Doubles Curling Championship will represent Canada in the 2018 World Mixed Doubles Championship from April 21-28 in Östersund, Sweden. Canada has never won the world title in mixed doubles. The first-ever mixed doubles Olympic champions are not playing in this year’s national championship. Lawes and Morris only came together to form a team just a couple of weeks before the Olympic trials in Portage la Prairie, Man. Then they went on that magical run to win Olympic gold. They’ll be a team moving forward — just not this week. That’s because at 11:57 p.m. Tuesday night, John Morris and his girlfriend welcomed their son, Jack Bradley Morris, into the world. Morris says both mom and baby are happy and healthy. “Our hearts are bursting with joy,” Morris said. he wasn’t about to miss the birth of his first child to curl this week and Lawes was more than understanding. Lawes was in Leduc on Wednesday meeting fans and showing off her second Olympic gold medal. She was part of Jennifer Jones team four years ago when they won gold in Sochi. “I’m just so lucky to be able to share two Olympic gold medals with Canada. At the end of the day people are more excited to see the medals than they are to see me. I’m okay with that,” Lawes said. Lawes says she’s happy to have been part of the historic Olympic debut of mixed doubles and believes the sport will only to grow in popularity from here. As for who Lawes is picking to capture the national title in Leduc, she says it’s completely up for grabs.